What God says is more important than the way we feel. What Jesus has to say to us is more important than our current emotional state. Psalm 119:16 says, “I will delight myself in your statutes: I will not forget thy word.” God’s promises are not mottos that we can hang on the wall, they are rather checks we can take to the bank. God’s promises are absolutely sure. He wouldn’t throw away a book full of pre-signed checks, God has pre-signed these checks to us. God’s promises are absolutely certain to gain remittance when we cash them. God’s promises always pay back. We should always be ready to learn more about what God has promised to us, and claim what it says in them. Remind God of what he’s promised to do. Reading the Bible, studying it, listening the sermons, going to church and hearing the preacher and if possible, questioning the teacher afterwards, or in a small group or bible study. Getting to know what God promises, finding wisdom in God’s word will bring us happiness. Read the Bible, treat it as God’s word. Don’t stand in judgment on it, but allow it to stand in judgment upon you. 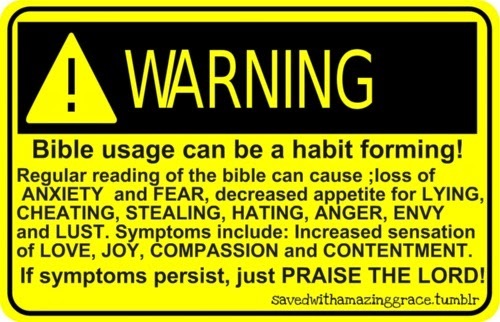 Study the words so that God can teach you through it and you will be happy.